Working closely with BAA Babcock wanted to be viewed as an organisation that treats its staff in a fair and proper manner. It also wanted to become a benchmark for best management practice. Over 120 delegates benefited from the programme with excellent feedback from delegates, directors and senior managers. An accredited programme is planned for the future. This programme was specifically designed for all middle managers, and some junior managers with identified potential, employed to develop and maintain the baggage handling systems at London Heathrow Airport. Babcock has a luggage handling division based at Heathrow responsible for the movement of baggage from check-in through to the hold. This involves highly complex sortation belts, holding luggage that is not to be loaded yet, and rigorous security checks. In preparation for the opening of Terminal 5 at the end of March 2008, they expanded their business from 400 to 600 staff. Working closely with BAA, Babcock wanted to be viewed as an organisation that treats its staff in a fair and proper manner. It also wanted to become a benchmark for best management practice. A training day was scheduled with the senior management to decide and agree on the structure and ensure that all content was relevant to the target audience of the management development programme, MDP. As a result GBS created specific content with handbooks, case studies and exercises. The programme consisted of six ‘core’ modules run approximately two months apart and was agreed that a Senior Operations Manager would introduce each module. A programme of four cohorts commenced in 2008 for 42 managers with a range of management experience, including two senior managers. We were then commissioned to run a further seven programmes over the period 2009 to 2013. 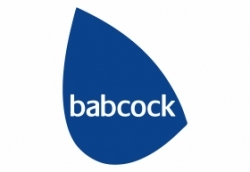 In late 2012 GBS delivered two further full programmes for 22 managers from a company that Babcock had acquired the previous year. In total 127 managers have now undertaken the full programme which had been accredited by the CMI. As delegates progressed through the programme it became clearly apparent that the key learning was being implemented in the workplace. Feedback from directors and senior managers supported this observation. Feedback from the sponsor indicated that all the objectives were more than fully met. As a result of the success of this programme we were asked to design and deliver the Babcock Airports Apprentice Programme.